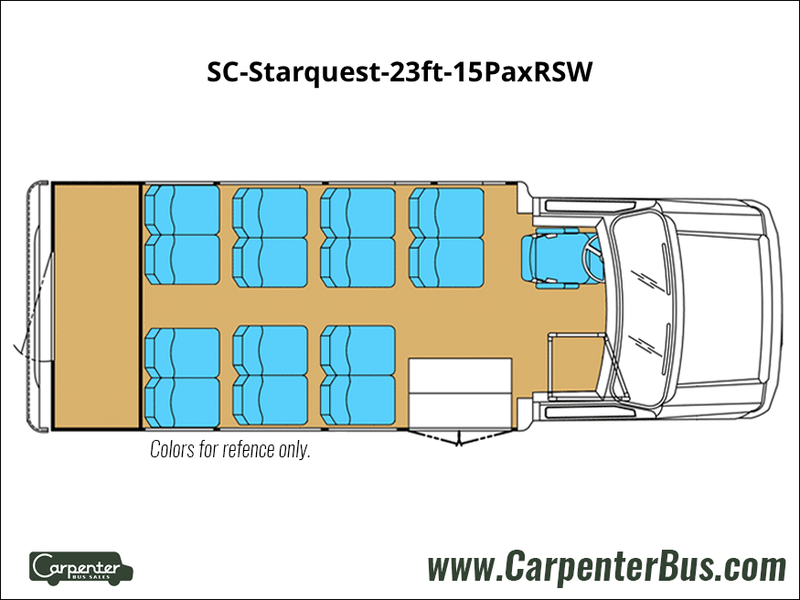 The Starcraft Starquest is the sleekest bus in the Starcraft stable of products. The bus is a low-profile commercial bus that is both highly-maneuverable and has a lower price point. 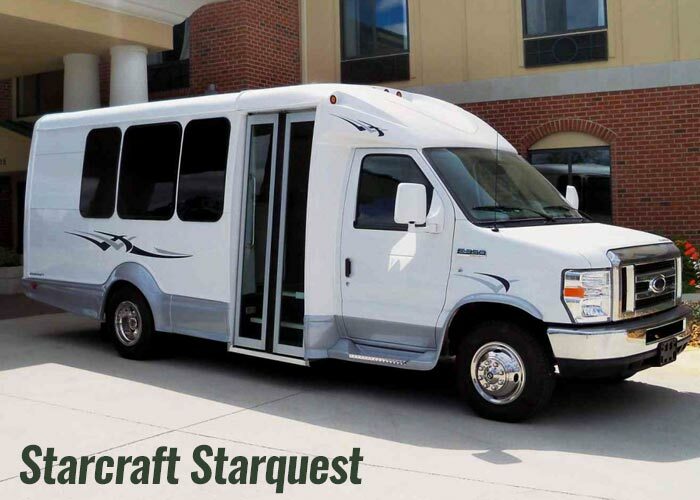 One of the things that sets the Starquest apart from other buses in the bus industry is it’s distinctive aerodynamic look and low-profile construction. With it’s dual rear wheels, the Starquest handles like a dream and is very easy for even novice drivers to get accustomed to. 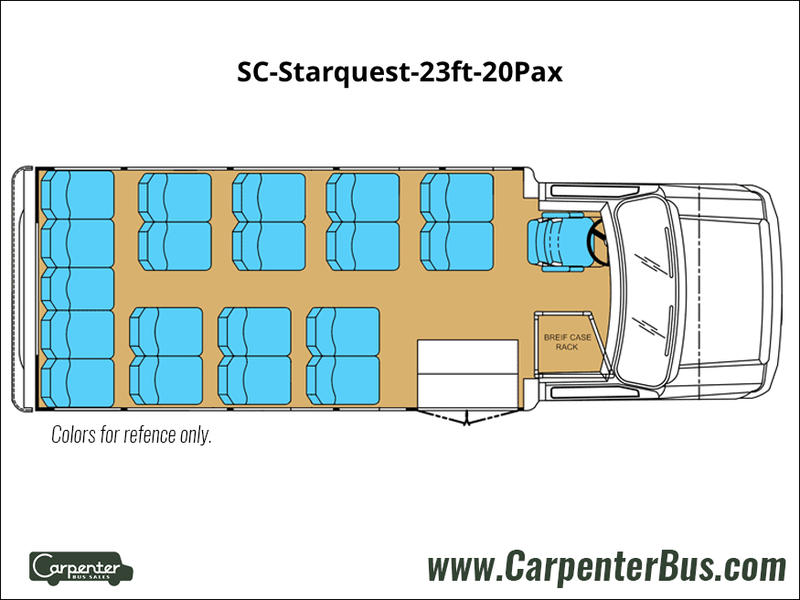 The Starquest comes standard with a ton of features not found on it’s lower priced brethren such as the Starlite and the Xpress model buses. The interior of the Starquest is also noticeably wider than the Starlite and the Xpress. The bus can be configured to carry multiple wheel chair stations which is a great selling feature to senior care communities and churches with large numbers of patrons in wheel chairs. 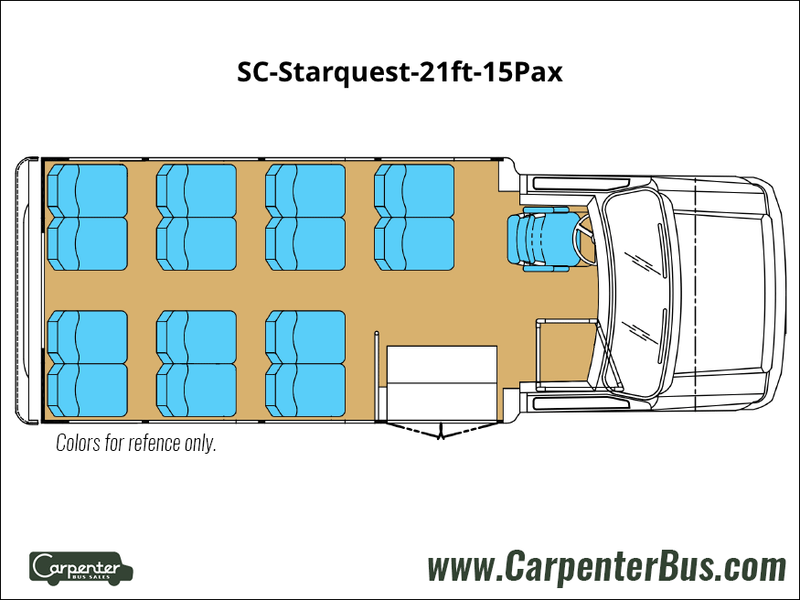 Without a doubt, the Starcraft Starquest sets the standard in luxury, style and drivability, making it one of the top buses for the money in the industry today.